Adorable moccasins with donut panda print Polyester upper Round toe Slip-on style Polyester lining Polyurethane sole Imported. Children's Wear - Children's Shoes. Baby on the Go. Size: 17 EUR/ 1 US (Baby). Adorable moccasins with donut panda print Polyester upper Round toe Slip-on style Polyester lining Polyurethane sole Imported. Children's Wear - Children's Shoes. Baby on the Go. Size: 18 EU/ 2 US (Baby). Adorable moccasins with donut panda print Polyester upper Round toe Slip-on style Polyester lining Polyurethane sole Imported. Children's Wear - Children's Shoes. Baby on the Go. Size: 19 EU/ 3 US (Baby). Adorable moccasins with donut panda print Polyester upper Round toe Slip-on style Polyester lining Polyurethane sole Imported. Children's Wear - Children's Shoes. Baby on the Go. Size: 20 EU/ 4US (Baby). Adorable moccasins with donut panda print Polyester upper Round toe Slip-on style Polyester lining Polyurethane sole Imported. Children's Wear - Children's Shoes. Baby on the Go. Size: 21 EU/ 5 US (Baby). Adorable moccasins with donut panda print Polyester upper Round toe Slip-on style Polyester lining Polyurethane sole Imported. Children's Wear - Children's Shoes. Baby on the Go. Size: 22 EU/ 6 US (Baby). Adorable moccasins with donut panda print Polyester upper Round toe Slip-on style Polyester lining Polyurethane sole Imported. Children's Wear - Children's Shoes. Baby on the Go. Size: 23 EU/ 7 US (Baby). Adorable moccasins with donut panda print Polyester upper Round toe Slip-on style Polyester lining Polyurethane sole Imported. Children's Wear - Children's Shoes. Baby on the Go. Size: 24 EU/ 8 US (Toddler). 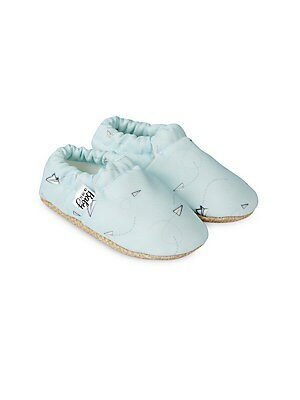 Adorable moccasins with paper-plane print Polyester upper Round toe Slip-on style Polyester lining Polyurethane sole Imported. Children's Wear - Children's Shoes. Baby on the Go. Color: Light Blue. Size: 17 EU/ 1 US (Baby). Adorable moccasins with paper-plane print Polyester upper Round toe Slip-on style Polyester lining Polyurethane sole Imported. Children's Wear - Children's Shoes. Baby on the Go. Color: Light Blue. Size: 18 EU/ 2 US (Baby).